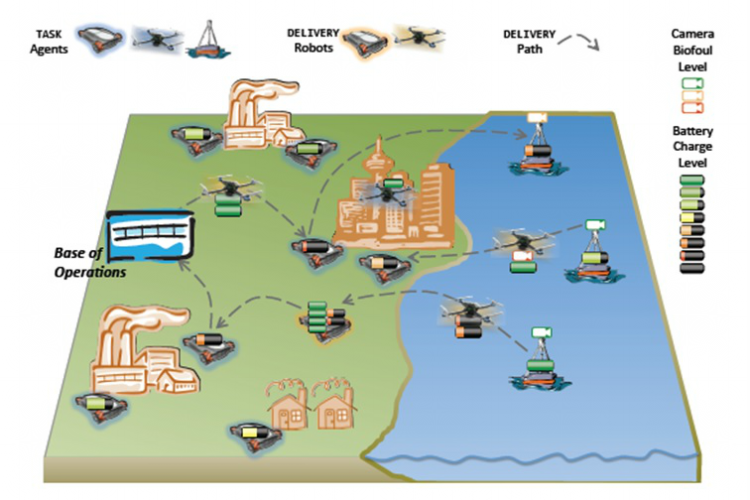 This project focuses on combining data from different kinds of sensors to build better maps, and on building maps that can be used by robots with different capabilities. Traditional single-robot algorithms tend to be slow if applied to groups of robots due to the increased dimensionality of the state space. On the other hands, multi-agent solutions from the artificial intelligence community can often not be directly applied to robots because they make invalid, simplifying assumptions. We investigate solutions that bridge the gap between AI and robotics, allowing to plan for large multi-robot systems. 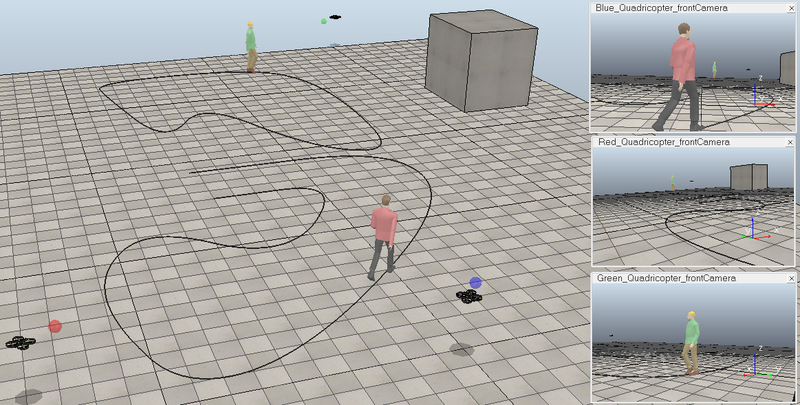 We develop both a theoretical framework and empirical models for extended autonomy in multirobot teams. Long-duration deployments require replenished resources, such as batteries and sensors. Our framework deals with both predicting when those resources will be needed, as well as ensuring that they are delivered in a timely manner to reduce robot down-time. 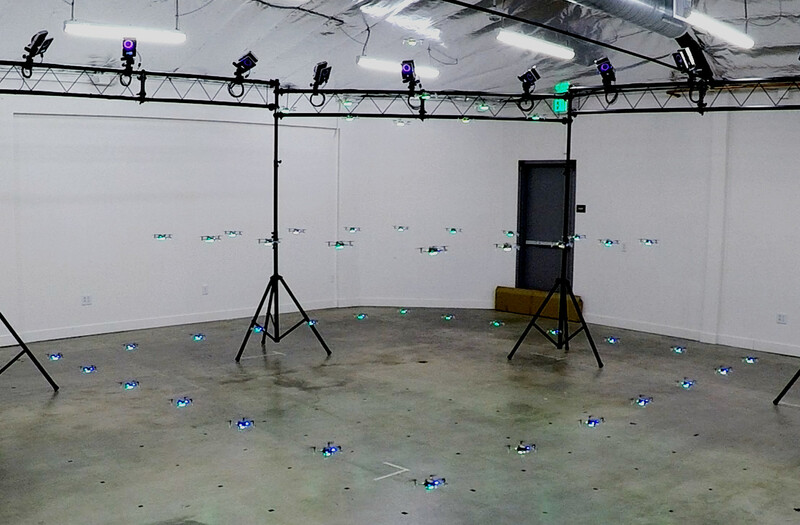 The Crazyswarm is a swarm of miniature quadcopters (Crazyflie 2.0) that can fly together in close proximity. The size of the quadrotors allows safe operations near humans and indoor experiments with many vehicles even in tight lab spaces. The hardware is commercially available and the software (including ROS support) is available as open source. We use and maintain the Crazyswarm for research in multi-robot coordination. 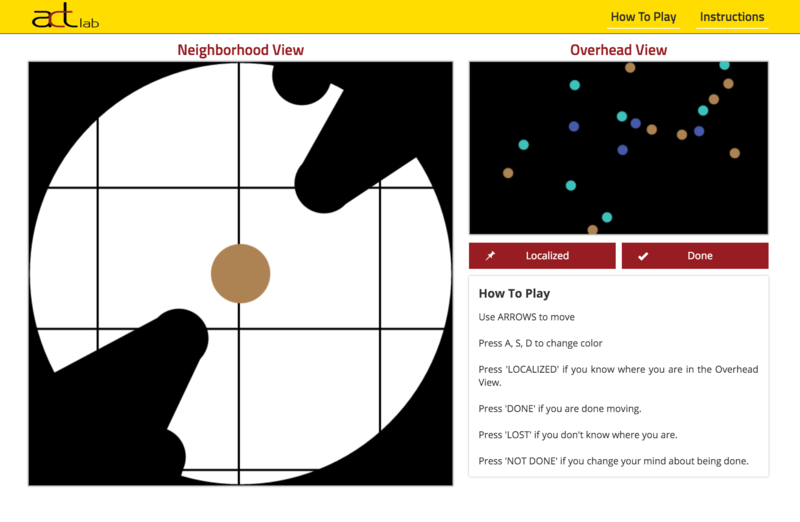 We use a cooperative online multiplayer games to observe the behaviors and algorithms humans use to work together. 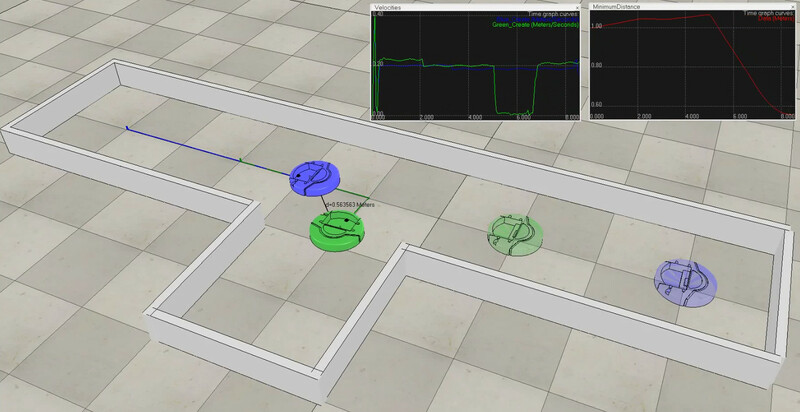 By applying learning techniques to data from humans, we plan to create an ensemble of diverse controllers for robots that can be used together to complete complex tasks. 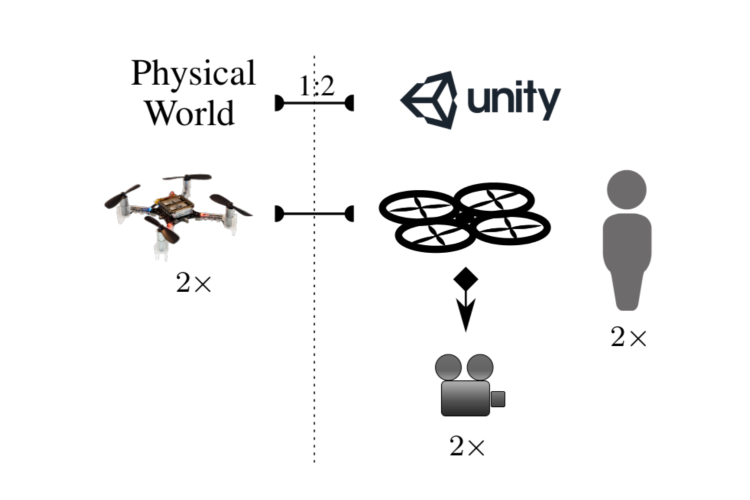 Mixed Reality can be a valuable tool for research and development in robotics. Specifically, our approach reduces the gap between simulation and implementation, and can eliminate safety concerns with human-robot interaction. We investigate algorithms for mobile robotic cameras to maximize the visual coverage of multiple moving targets in dynamic environments including obstacles. This approach has a variety of applications, including for surveillance, sports events, training, and documentation of endangered animals. 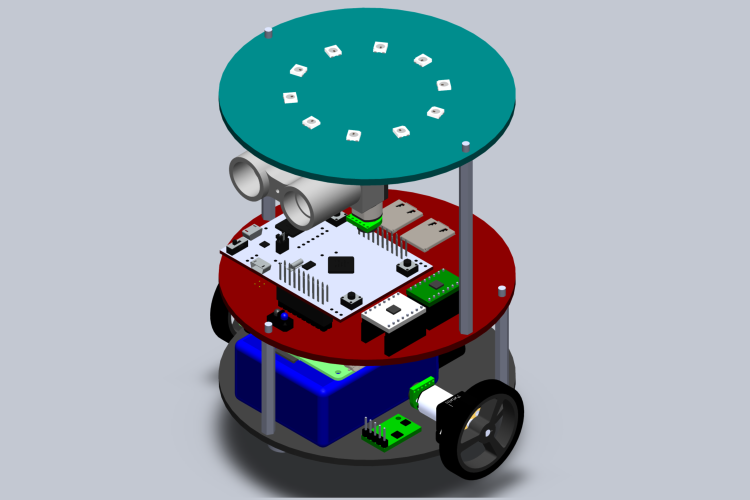 Development of a differential-drive robot platform.